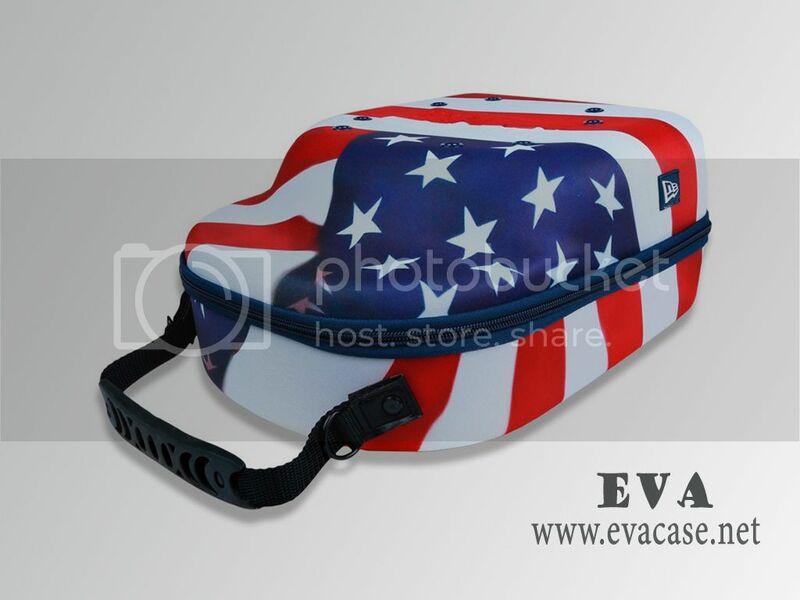 This baseball hat storage case was made from hard shell EVA foam with mutispandex coated; it is with heat sublimation printing America flag patterns design, fitted for 6 pack hats! 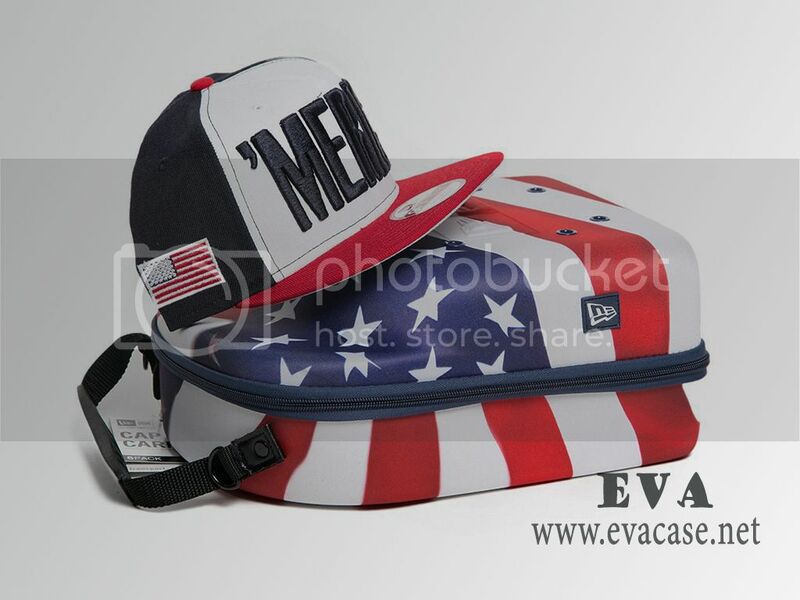 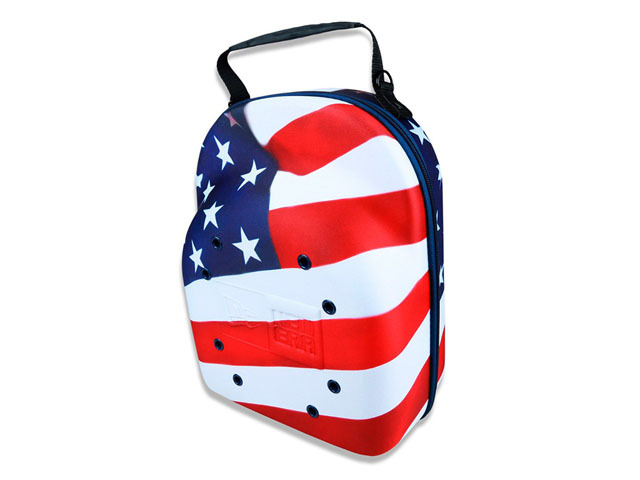 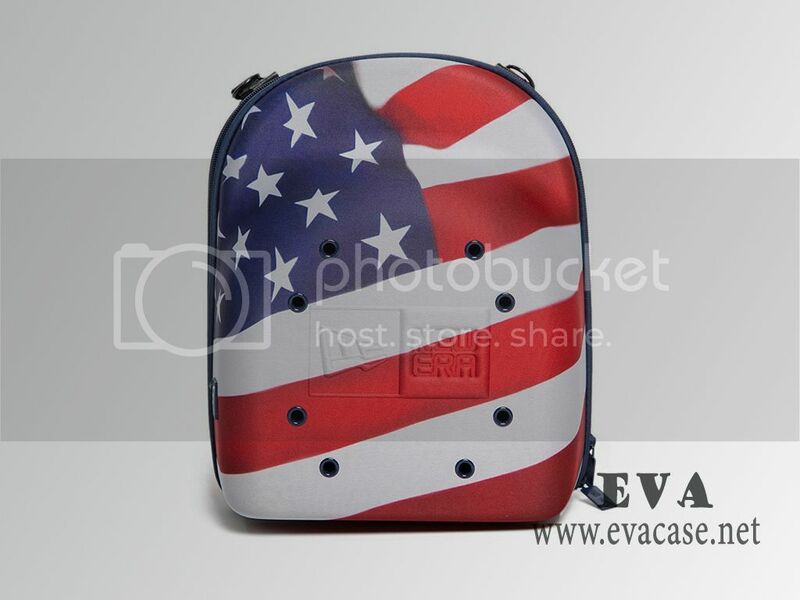 This EVA baseball hat storage travel case with Ventilation holes, rubber handle and nylon webbing shoulder strap, American flag patterns fits 6 packs was designed by NEW ERA, with hard top and bottom, rose color plastic zipper closure, poly pocket inside, various colors, suitable for boys and girls. 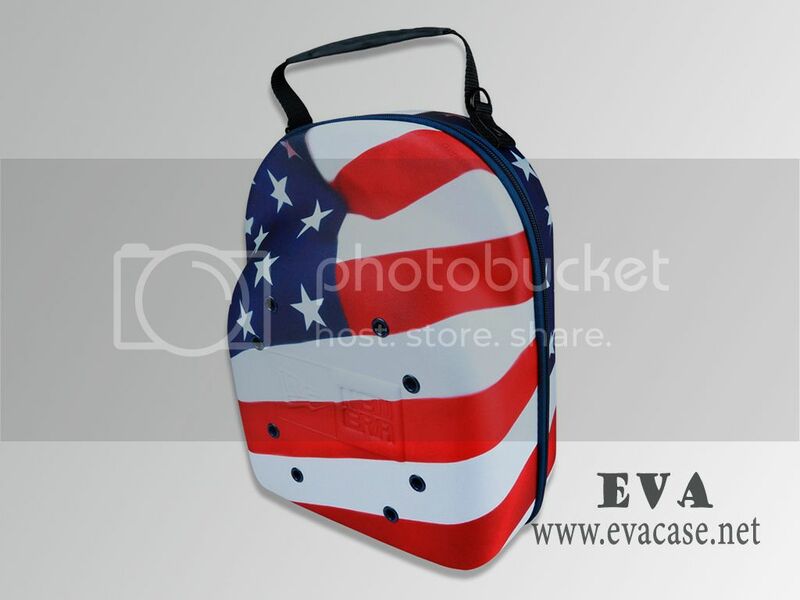 If you need custom design EVA baseball hat storage case online, or need a fast quotation for EVA baseball hat travel case, please send e-mail to us! 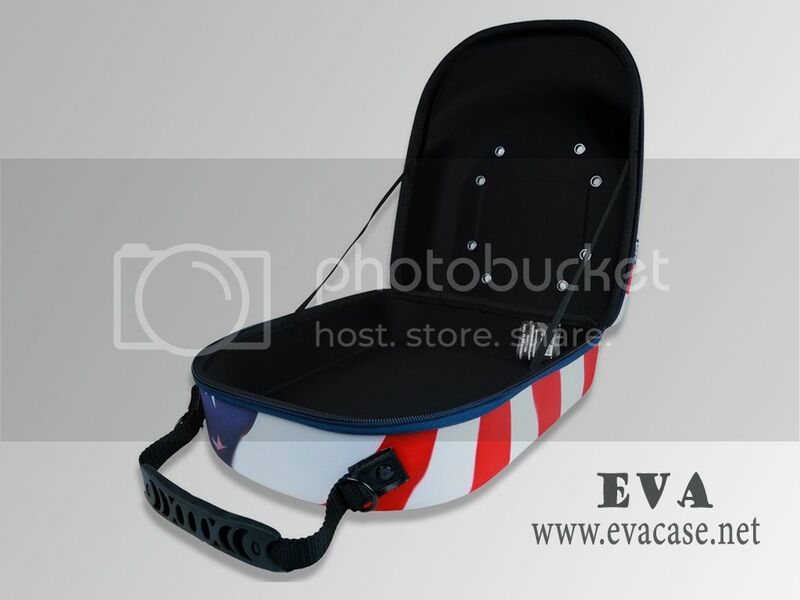 Color: black, camouflage, red, etc.